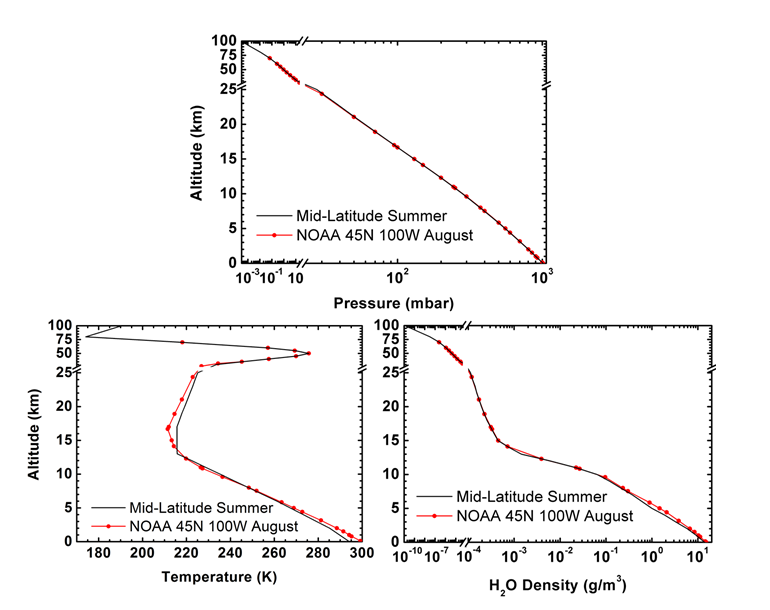 The Atmosphere Generator Toolkit (AGT) is a separate program that supplements MODTRAN with new atmospheres from historical and radiosonde data. It provides MODTRAN6 users the ability to input custom atmospheres into MODTRAN in a straightforward manner. The command-line tool must be called with either location (latitude, longitude, date, and time) or radiosonde data. The AGT writes the custom atmosphere in either the form of MODTRAN legacy (tape5) CARD 2C1 inputs, or as text for a MODTRAN6 JSON input file. The radiosonde AGT input can be either post-processed or raw data. A raw radiosonde typically consists of several thousand lines (or more) of altitude dependent pressures, temperatures, and relative humidities, ranging from the near ground level to about 30 km. Altitude gaps or noisy profiles are common. A post-processed radiosonde typically consists of processed measurements at 100's (not thousands) of altitudes. Typically this data extends to 25-30 km, with fewer missing data points and minimal noise. As examples, NOAA/ERSL and The University of Wyoming both maintain actively updated collections of post-processed radiosondes. File formats are not consistent between data sources; the AGT understands the three most common file formats and regularizes the input stream prior to processing the data for usage within MODTRAN. Comparison of NCEP/NCAR 45 degrees August data products to MODTRAN® Mid-Latitude Summer profiles.